Camps, drills, and competitive matches for all juniors. Click the link to see more. Fun and informative drill and liveball for all adults! See more by clicking the link. 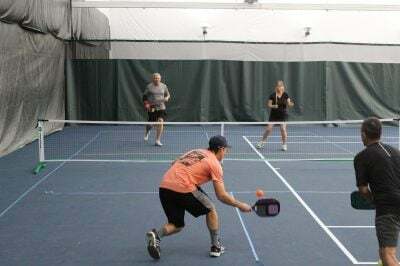 Not only does the tennis center "serve" tennis, we also have a brand new Pickleball program! Click the link to see more. The Pueblo Tennis Center is governed by the Hitman Sports Managment. 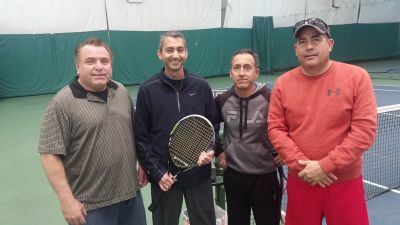 Sam Hitman operates Gates Tennis Center and Lakewood Park Tennis Center in Denver, Colorado. 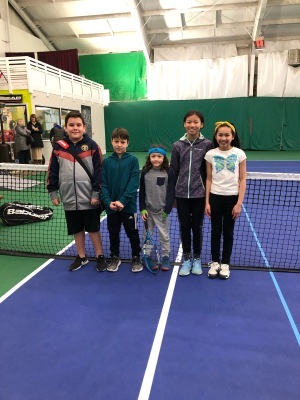 The Pueblo Tennis Center has 5 indoor hard courts and year round extensive programming for adults and juniors. Our facility is owned by the Pueblo Country Club. The Country Club is nestled in a peaceful, nostalgic neighborhood atop a hill overlooking the city. Opened in 1903, Pueblo Country Club has provided its members quality services and amenities and continues to pride itself on member satisfaction. From the 18-hole championship golf course that is playable year round, to the finest indoor tennis facility in Southern Colorado and an impressive restaurant and lounge that overlooks the golf course to the aquatic center, we strive to provide our members and their guests with a warm, friendly, service-oriented environment. *Note: We may close earlier if there are no reservations so be sure to call ahead! "I started tennis late last year. I was invited by a friend to a program called LiveBall, taking advantage of the nonmember tryout of the Center. I came, felt welcome, enjoyed the comradery and was encouraged by the enthusiasm driven by the coaches. The staff helped me with other game improvement programs and guided me to do things right and improve every aspect of this new exciting game. I joined a year ago, since then I have continued to improve, by playing internal tournaments geared toward the busy individual. I have met players of different ages, just as enthusiastic if not more so than me, enjoying the game while improving oneself. In order to sign up for classes you have to create an account with Mindbody. Here is a link to create your account with our MindBody software. After your account is created you can click "Register" for Adult Drill and Adult Liveball in the Adult Programs tab. This will take you to the exact page to sign up for that class.